Whether you are remodeling or building your new office space or residence in Charleston, Myrtle Beach, or Savannah, you need the space to be clean for ongoing construction, inspections, final presentation, lease, or sale. 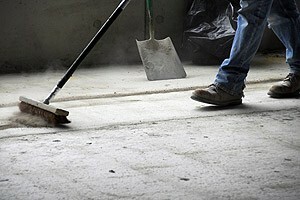 Clean construction areas are safer for workers and make construction projects more efficient. Surfaces need to be clean in order to install cubicles, doors, windows, flooring, paint, or wall coverings. Inspections require clean, well organized walls, crawlspaces, ceilings, and floors in order to be successful. Don’t let yourself be held back by debris, dust, and dirt. Lowcountry Cleaning Service is #1 in Charleston for Construction Cleaning!! Your office, home, or building’s successful presentation and cleanliness is crucial for success, and our cleaning services will deliver. We will leave the space clean for all construction, inspection, and sales activities, and we’ll instill a sense of pride among its new occupants. Many contractors throughout Charleston rely on Lowcountry Cleaning Service to clean up before or after their construction projects. We are fully insured and licensed!! Removing all dust from walls, ceilings, duct work, light fixtures, etc.